A visit to Pind Balluchi gives you, what can be best described as a sneak peak into the ‘pinds’ of Punjab. Enter through the ‘haveli’ like doors and you’re welcomed into a village courtyard with a Banyan tree in one corner, a well somewhere in the middle, a skylit ceiling and typical village like rustic furniture. Make yourself comfortable and enjoy a cooling drink in a huge glass of brass (pindi touch) and while you think hard about what to eat (simply because there’s just too much good food to choose from), a traditionally dressed up server will be more than happy to help you decide. When everything in and around is inspired by the villages of Punjab, how could the food be any different? Refreshing beverages and appetising shorbas, sumptuous kebabs and juicy tikkas, rich gravies and satiating desserts from the lands of Punjab are what the menu is made up of. Walk in with a king sized appetite! 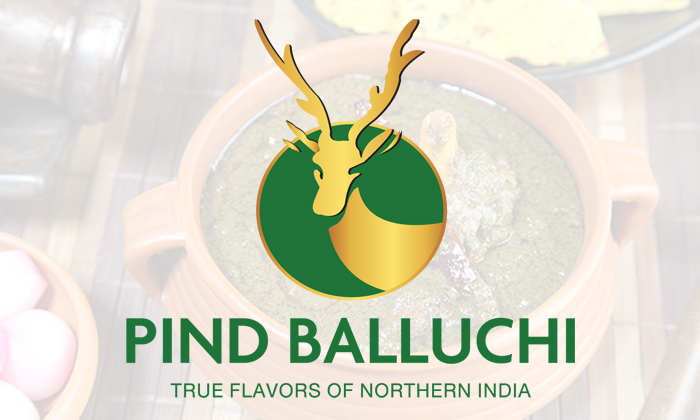 A flavourful and truly Punjabi dining experience awaits you at Pind Balluchi.